Over the past decade there have been a lot of changes in the market most notably is the introduction, by some manufacturers, of HA104 and ‘estate’ range D400 covers. Estate covers are designed to be as light weight as possible while still able to pass the load test outlined in EN124. The covers have often been very cleverly designed with the sole intention of being as cheap as possible to make and ship. They will normally have ‘skeletal’ frames which save on weight or thin lids with intricate webbing beneath the lid which radiates out from the spot where the test plate will be located in the EN124 load test. Whilst these products are still technically D400 loading, loading being the key word, they are generally not fully compliant with the standard. BS EN124:1994 states that D400 products are to be suitable for use in the carriageway and there is no mention of estate range or light duty D400 products in the EN124 standard. It is worth noting that ‘estate’ covers are not necessarily the doing of unscrupulous manufacturers but rather a culmination of factors. Moving production abroad was probably key as it meant that suddenly the leading UK and European producers had to compete against cheaper imported products from countries with much lower overheads such as China and India. Faced with the prospect of losing market share the market leaders introduced estate products which could go head to head with the imported products. It also served to reinforce their existing range of covers and gratings as high end products meaning prices for these items remained less effected by competition. In November 2002 the Highways Agency introduced HA104/02, now superseded by HA104/09, which was an advisory note for those designing highways. It gave some key features and criteria to look for when selecting covers and gratings for use on the nation’s highways. Ironically the majority of the features already existed in the pre-estate era as they were deemed to be desirable for longevity of the product. As demand for products compliant with HA104 increased manufacturers began to import a second range of covers which had HA104 compliant features. These new products, often wrongly referred to as ‘Highways Approved’ (The Highways Agency has not approved any specific manhole cover) were then marketed as superior products to the standard ranges being imported. The same process occurred again with the HA104 compliant covers because, as everybody rolled out HA104 compliant covers nobody had a competitive edge. But, when you go through HA104 with a fine toothcomb, you will find it mentions high and low risk areas. Some manufacturers seized on this as it meant they could made HA104 compliant covers suitable for low risk areas only and thus gain an advantage over those manufacturers just offering full HA104 specification covers. Throughout the entire time Castings Services, possibly to our detriment at times, refused to go down the Estate/HA route. Instead we have stuck with our guns and offered high quality products throughout the process which generally comply with the HA104 standards anyway due to their robust design. This is for two reasons; firstly we believe that what we sell should be fully fit for purpose and would never compromise on quality. Secondly, because we sell through numerous merchants, we cannot be sure where our goods will end up and the last thing we want is an estate cover ending up in a highway application. 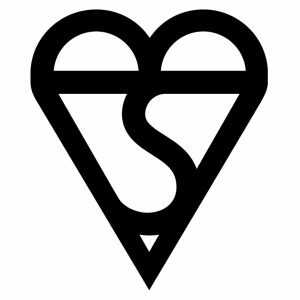 When creating our new range of covers and gratings we took in to accounts all aspects of HA104, BS EN124-2 and BS 7903 and made sure our covers were compliant with every part of each standard. We also took in to account the information we gained during the market research stage and incorporated the features that were deemed to be most desirable such as hinged lids and of course, an economically priced product. What we have come up with high end product with a mid to low price that means it will be possible for merchants to just stock a single product line which will satisfy all of their customer requirements thus freeing up yard space and cash.